Enjoy a day out in this historic city with its ancients buildings and more modern shopping areas to explore. 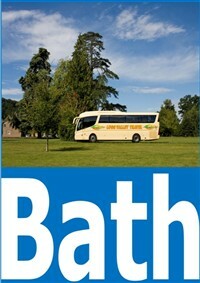 Enjoy this popular day out in the beautiful Georgian city of Bath. As a UNESCO world heritage city you can discover its ancient Roman baths and its Georgian architecture. Also there is a wide selection of shops to explore plus a remarkable range of restaurants and cafés to enjoy a meal. 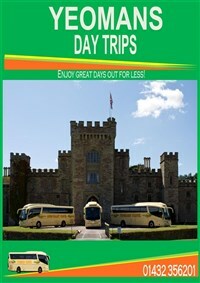 Also you may like to take a sightseeing open top bus (Extra cost) around the city showing you its further attractions such as the "Royal Crescent" "The Circus". 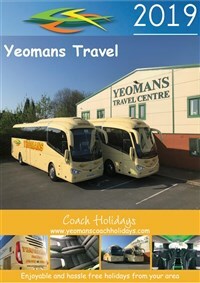 We join our coach for the journey to Bath, where on arrival due to local traffic laws our coach will drop our passengers at the official coach drop off/pick up places as close as possible to the city centre. We rejoin our coach for the journey back to your joining points, and our estimated time of arrival back into Hereford is 18:30. Time to explore Bath and what it has to offer.